PSEB has announced that it can assist you (in variety of ways) if you have got an idea which is great and you need support to get it executed. 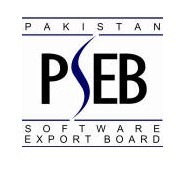 PSEB says it can provide young entrepreneurs with some initial capital, office space, computers with internet connectivity, partial monthly expense, and two supervisors (one to look into technical things while other to guide you through business development). Adult Supervision, that is, two mentors assigned to each company, one technical, one business. A gadget, circuit or electro-mechanical device/contraption that is relevant to a few thousand to few million people (preferably driven by a microcontroller but not necessary). Islamabad: April 30th at TieCon Islamabad to be held at the Convention Center. Karachi: May 3rd; venue to be announced later. Lahore: May 7th; venue to be announced later. One page proposal outlining your idea, what problem it solves and why it is (or can be) relevant to at least a few thousand people. Include your name and a phone number to contact you and your university if you are currently a student. Finally PSEB Is doing Good Job. — Is it decided or announced yet…?